© 2016 by Nordic Games Licensing AB, Sweden. Licensed exclusively to Nordic Games GmbH, Austria. Developed by Stormregion. 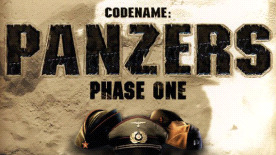 Codename Panzers is a trademarks of Nordic Games. All rights reserved. All other trademarks, logos and copyrights are property of their respective owners.